BRUCE FOX FOR AMETALE ALUMINUM CABBAGE LEAF SERVING TRAY. Large, Heavy, Aluminum Tray by Bruce Fox For Wilton Ametale. 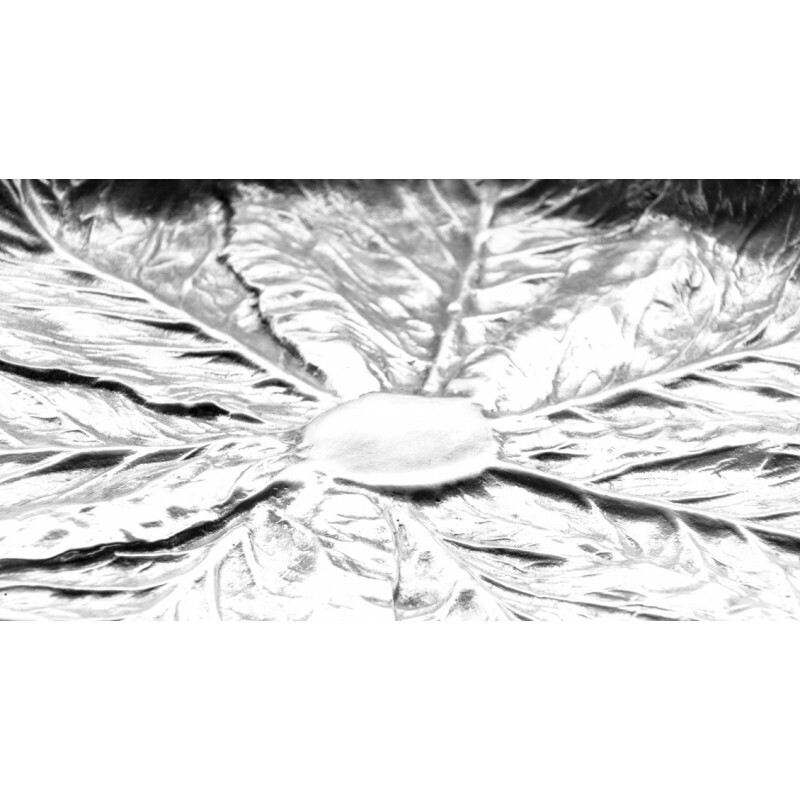 Bruce Fox Tray in Cabbage Leaf Pattern. 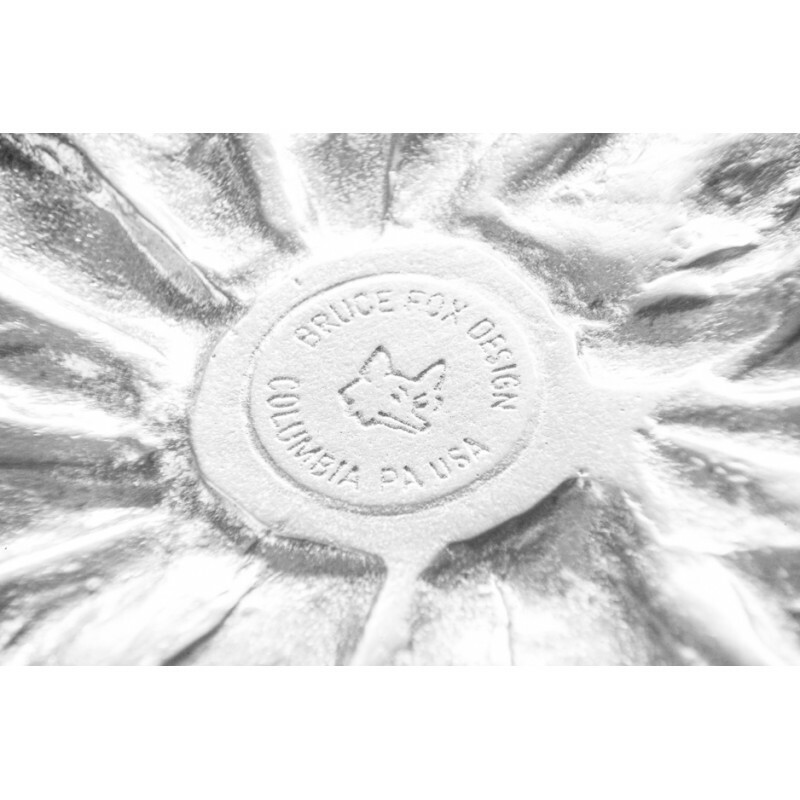 Bruce Fox Design Columbia PA USA - circle hallmark with fox head incise stamped into bottom. 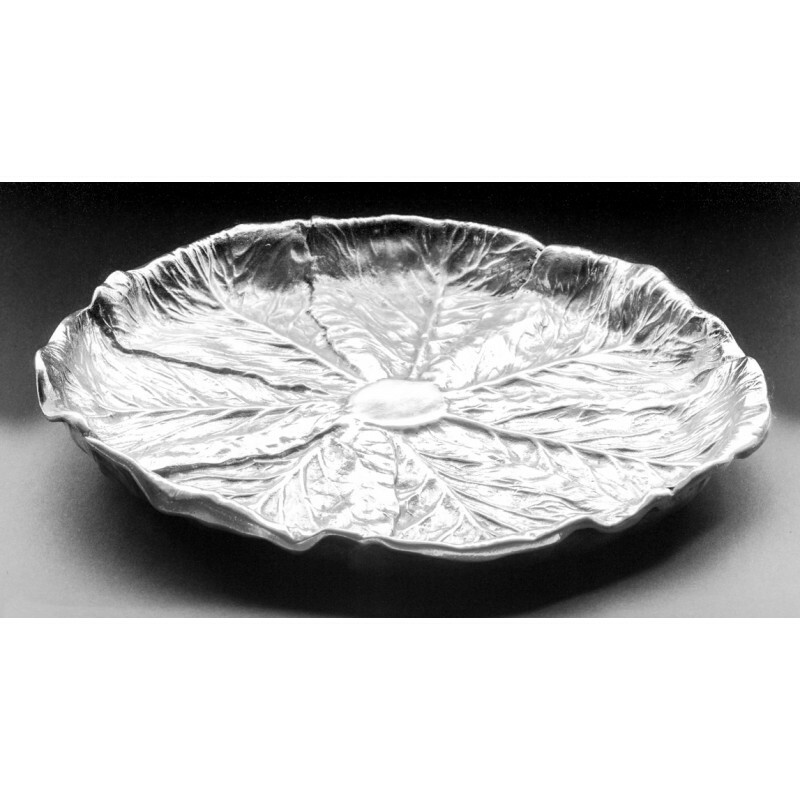 Cast and hammered aluminum tray in cabbage leaf pattern from the Majolica collection by Bruce Fox for Wilton Ametale. 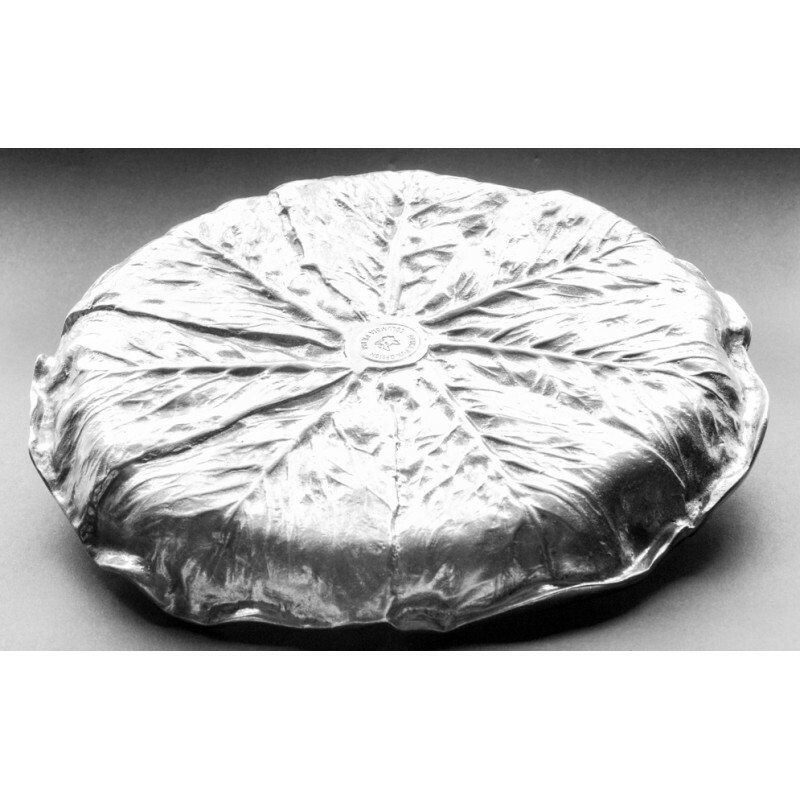 A large, sturdy, informal tray great for entertaining any time of year. With the pronounced lip, it's perfect for every kind of finger food, appetizer, etc.